Hood are back, and, in typical form ,they have released an EP just before the release of their latest album. 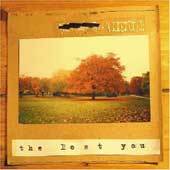 This EP, The Lost You, continues the band's exploration of electronically modified indie rock that they have been working with lately. Over the past few years, Hood have become more experimental as a band. Not that they were ever doing things exactly like everyone else, it is just that they have accepted their fondness for hip-hop and electronica, and merged these two elements into their catchy indie pop in a seamless fashion. I really think that what the band is doing these days is rather unique. Perhaps an examination of the five songs on this EP will help to explain what i mean. Up next is You Can't Breathe Memories, which is a slower paced and more normal indie pop song. It starts slowly and builds into a rumbling tune with slightly computer manipulated voices and keyboards. It climaxes with a messy flurry of guitars, drums, and frequent guest vocalist Nicola Hodgkinson singing a backing vocal to the lead Hood vocalist. Not bad at all, but honestly this is my least favorite tune on the album. It just never seems to gell, and ends up coming across as kind of noodley. However, the next tune, The Rest of Us Still Care, has become one of my all-time favorite Hood tunes. It starts with a wailing guitar, then the other instruments come in, along with a simply stunning rolling bass riff. This is the least electronic tune on the album, and is built out of layers of cascading guitars, that unstoppable bass riff, and some frenetic drumming. Very nice, and this shows exactly why Hood are one of my favorite bands. Very few bands can make a song this simple, and yet keep it so catchy and interesting. The remaining tunes are both mostly abstract, ambient pieces. The first of these is By Island Lake (excerpt), which i suppose means that there is more of this tune out there somewhere, perhaps on the album which follows this EP. Anyway, this song moves along at a nice pace, and is a good "soundtracky" piece. There is some nice string and piano work behind the guitars, and, for a two minute or so interlude, it's not bad. I am curious to see what happens in the rest of the song. Finally, the EP ends with Over the Land Over the Sea. In this song, the drum beat is a scattered drum and bass sound, and over this Hood add mournful horns and mellow keyboards. There are also strange vocal samples and the chiming of some child's toy that wanders in and out of the mix. I suppose this is abstract IDM, but the addition of real drumwork playing accompaniment to the drum n bass loop makes for an interesting effect. Here, Hood show that they can play rock music that merges completely with their electronic influences. It's interesting and catchy, and i really like the way the guitar and bass parts grow in the overall mix. So there you go. I have to admit that when i first listened to this EP, i wasn't that impressed. I suppose much of that had to do with the nature of the intro to the very first song, and how it made me worry for the integrity of my hardware. Once i got over that, i was able to hear the many layers of song that constitute what Hood are doing, and i grew to really appreciate the richness of these songs. This is another quality release from Hood. If you are already a fan, then you really need to pick this EP up. If you have yet to listen to Hood, then this is as good an entry point as any. Really, there are very few bands out there who are able to pull off such disparate elements in their songs as well as Hood does. You should give them a chance. Cold House, the most recent full-length from Hood. Hood released a split 7" with Themselves, shortly before the release of this EP.